This Iowa Monarch Conservation Strategy describes purposeful, coordinated voluntary conservation measures based on the best available scientific information. Implementation of the Iowa strategy will contribute to the long-term conservation of the monarch butterfly while maintaining agricultural productivity. The strategy is a living document that provides the foundation and framework for future versions that will have additional detail as the scale of implementation progresses. Version 2.1 of the strategy is available here. A summary handout is available here. 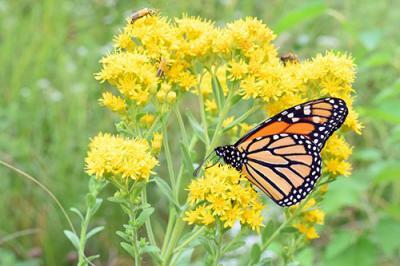 The strategy was prepared by member and partner organizations of the Iowa Monarch Conservation Consortium.